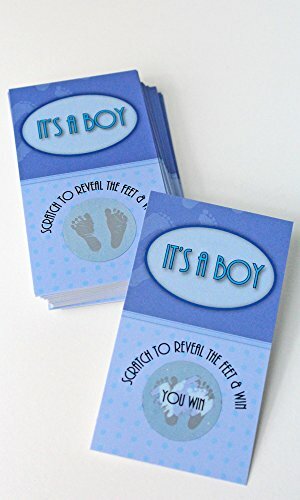 Are you looking for a FUN and UNIQUE baby shower game? Well we've got you covered! 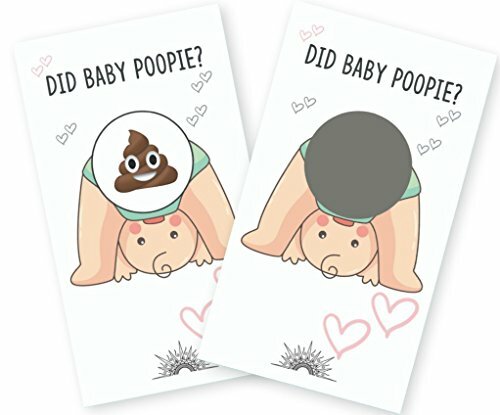 Our Poop Emoji Scratch Off Baby Shower Game will guarantee you some laughs at your event. Our scratch off tickets are high quality print and premium design that will impress both you and your guests. Playing with these cards is super simple. Use them for diaper raffles, door prizes, ice breakers, and other unique ways to select a winner at random for a prize. So get ready for the compliments to roll in as your baby shower guests are rolling in laughter from this ridiculous scratch-off game!! Purchase Includes: 23 Losing Scratch-Off Tickets ("Whew, False Alarm!") 1 Winning Ticket (Poop Emoji) 24 Silver Scratch-Off Stickers *Important Notes* Scratch-off stickers will need to be applied to tickets in order for game play to begin. Don't worry, this process takes less than 5 minutes! This was done to ensure that you know which card is the winning ticket so if playing with less than 24 guests you're guaranteed to have a winning ticket present. Also all images, text and their placements are registered and trademarked under the Cotier Brand, the parent company of Epic Baby. 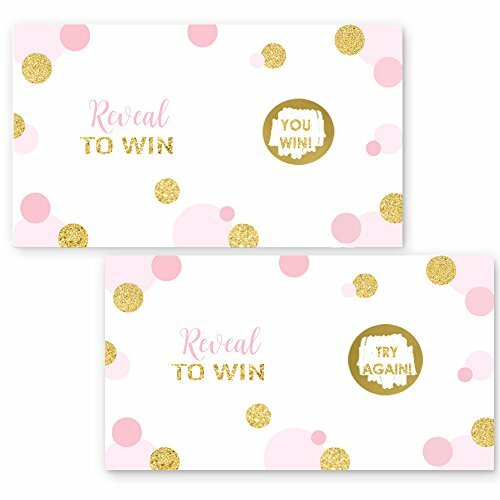 Gorgeous pink and gold scratch off game is sure to add some excitement to your upcoming gathering. 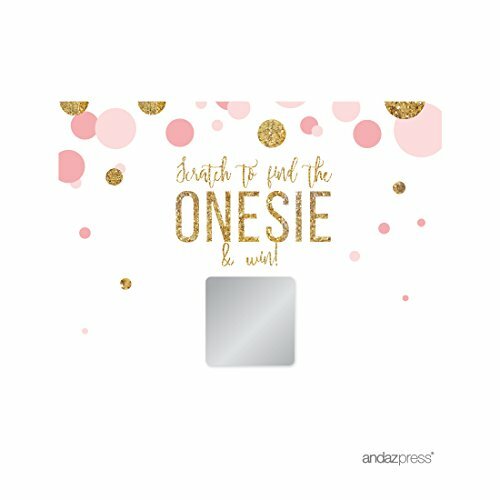 Stylish abstract dotted design with pink, blush and glitter-look faux gold (not real glitter, rather a print) game cards are perfect for your holiday event, baby shower, bridal shower, wedding or party! Scratch off game cards are a fun way to provide your guests with a quick and easy activity that guests will love playing. What is in the pack • Modern dot design in pink and gold • 28 total scratch off cards per pack, 25 losers, 3 winners • 2" inches wide by 3.5" inches high • Carefully packed losers separate from the winners • No cutting, printing arrives ready to use • Gold seal will reveal, "you win" or you lose". Pink and gold scratch off cards have so many uses, we love the cards for a variety of games ideas! Use at your girls baby shower, bridal showers, wedding or even corporate functions. •Door prizes •One at each place setting • Icebreaker •Scattered on a table •Diaper raffle prizes in place of traditional ticket style •Free drinks at your wedding reception •Possibilities are endless All ages can play this fun activity, order your set(s) today and get the party started! 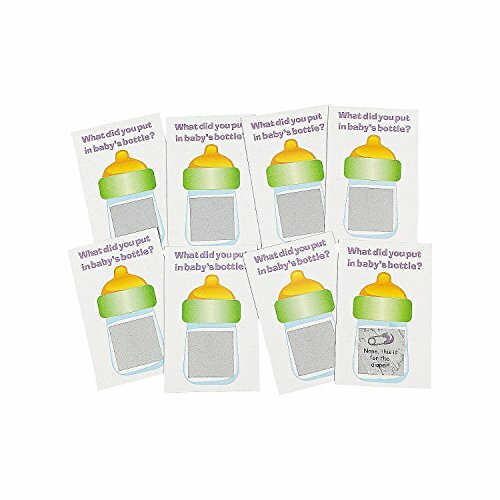 Baby Shower Game Scratch Off Cards! 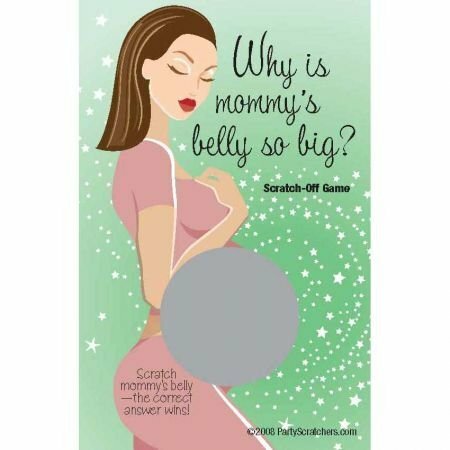 Scratch Off game cards are designed by My Scratch Offs, LLC and professionally printed so that they are the highest quality available. Cards are GLOSSY- Each ticket measures approximately 2" x 3.5". Quantity of one equals 25 cards. (24 will be "Sorry" cards and 1 will be a "Winner" card.) Winner will always be the card on the top inside the package. 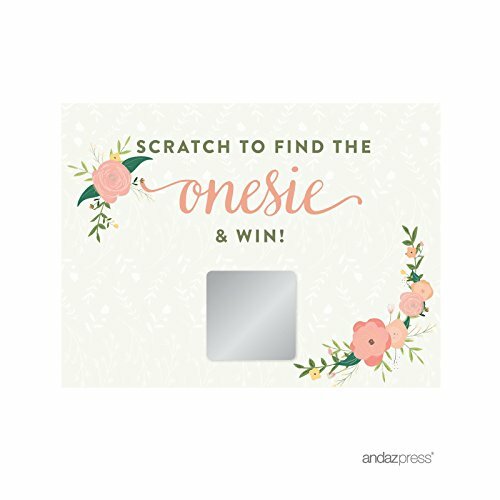 Give these Scratch-Off game card tickets to each guest at Bridal Shower as a fun way to distribute an attendance prize or favor! Baby Shower Scratch Tickets. Baby Shower Scratch-n-win Tickets. 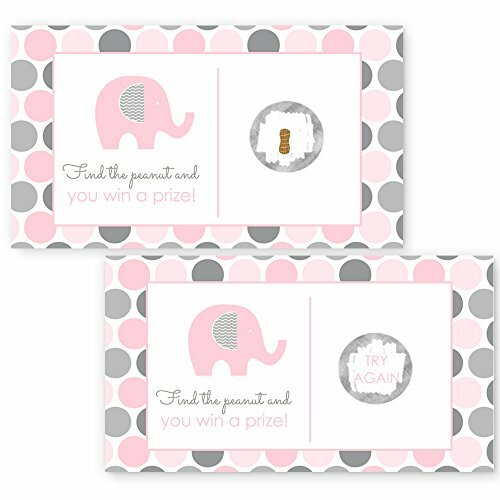 Add some unexpected fun to your baby shower with these cardboard scratch tickets! Ask your guests to scratch off the silver square to reveal the winning ticket. Have a little fun with it - use them for drawings, raffles, games, door prizes and more! Each 24-card deck comes with one winner to reveal a picture of milk in the baby's bottle. 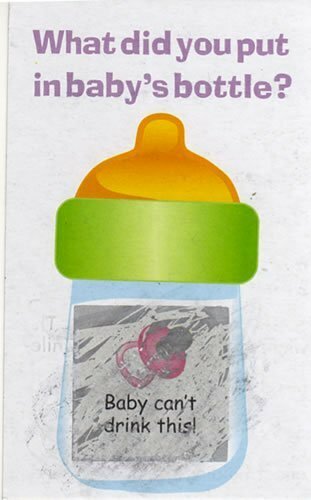 The non-winning cards reveal pictures of various baby items/toys such as a rattle, rubber ducky, etc. and let the ticket holder know that they did not win. Each card measures 4- 1/4". For entertainment purposes only. 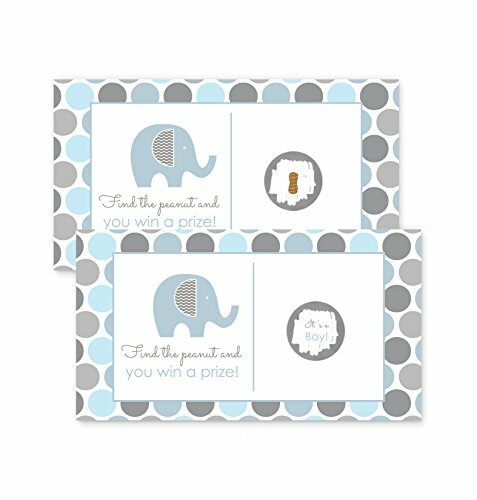 Compare prices on Scratch Off Baby Shower at ShopPlanetUp.com – use promo codes and coupons for best offers and deals. We work hard to get you amazing deals and collect all available offers online and represent it in one place for the customers. Now our visitors can leverage benefits of big brands and heavy discounts available for that day and for famous brands.